Enter this trendy and sophisticated condo and you will experience NoHo living at it’s best. Located close to Tujunga Village and Toluca Lake, it’s ideal for experiencing all the Valley has to offer with easy Freeway access. Situated on the 2nd floor, this stunning unit faces north and offers a fabulous amount of natural light. The kitchen includes custom cabinets, gleaming granite countertops and stainless steel appliances. The open floor plan will lead you to a spacious living room and dining room area, with high ceilings, beautiful hardwood floors, and a cozy balcony, making this beautiful space an entertainer’s dream. Relaxing with a morning cup of coffee or an evening glass of wine on the private balcony are easy to imagine. This elegant unit features a large master suite with walk-in closet. 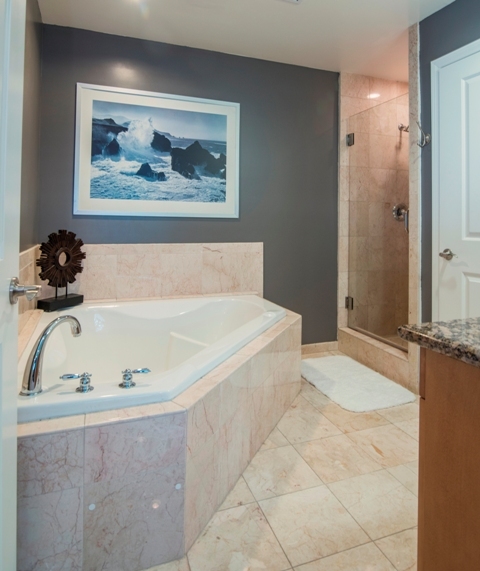 The master bath has a large soaking tub and separate shower. The 2 additional bedrooms are on the opposite side of the unit giving added privacy. A large storage room and hall closets provide loads of storage area. Within the Bedford Arbors gated community you will find a security parking garage, a large atrium/community patio for entertaining with bbq. area, fire pit, and pool table. The separate gym rounds out the many extras. Proudly represented the seller.